The Alexandria families of Tom, Grace, & Kyle Cross and Igor, Holly, & Filip Boras recently took OTC with them on their journey through Slovenia, Croatia, and Bosnia-Herzegovina. 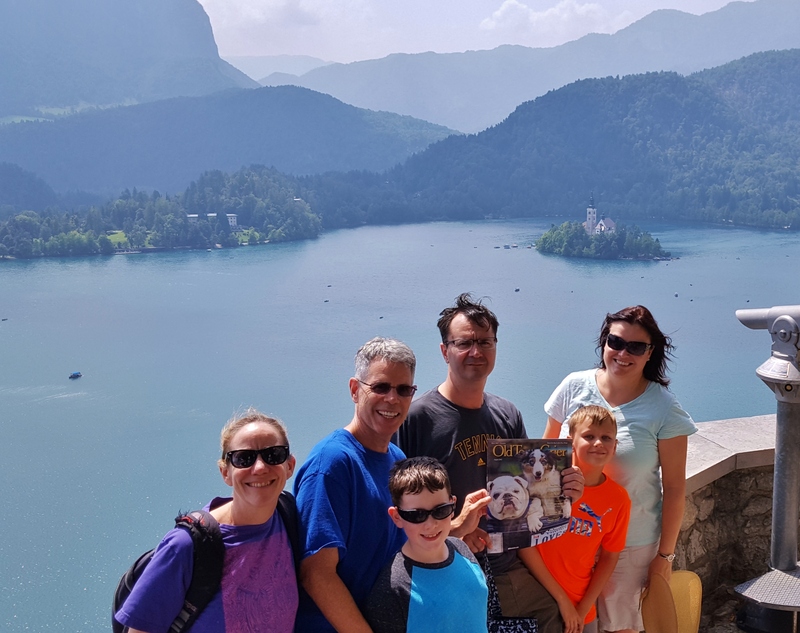 They’re pictured here high above Lake Bled, Slovenia enjoying their tour of the 11th-century Bled Castle and taking in the views of the Julian Alps around them and the Pilgrimage Church of the Assumption of Maria atop an island in the lake’s center. If you would like to see your picture here, take the OTC on your next adventure, snap a high resolution photo and send it along with information for the caption to office@oldtowncrier.com. Happy Trails!